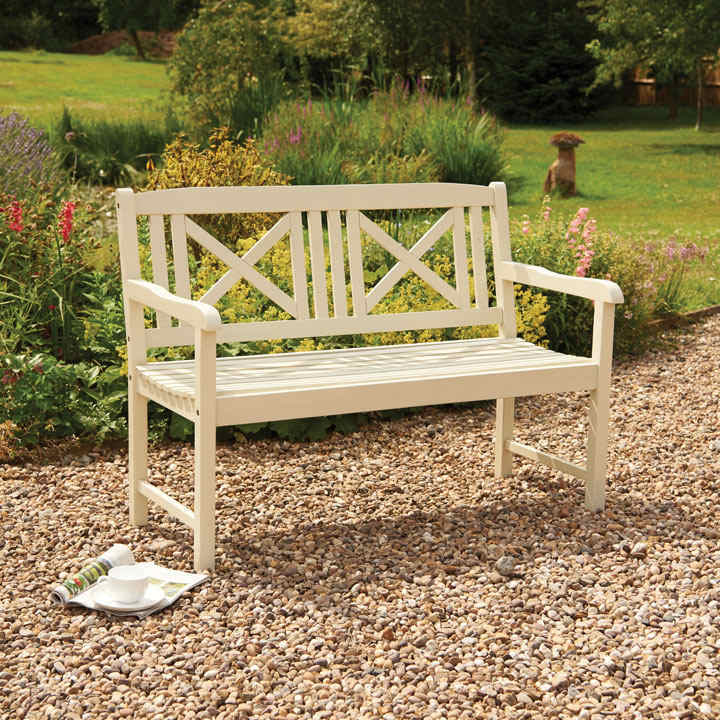 A beautifully crafted garden bench made from sustainable Acacia hardwood with a distinctive cross back design providing a reassuringly solid feel. Strong and durable. Easy home assembly. 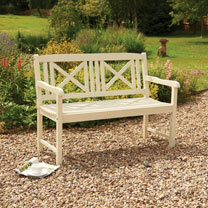 Hand oiled finish; white. Overall Size: width 120 x depth 60 x height 89cm. Seat Measures: width 113 x depth 46 x height from floor 44cm.